Or filled with hope and inspiration that perhaps this year, we will anchor into something different for ourselves. Often, what happens is we begin a journey with clarity and hope, or anxiety and uncertainty, and find ourselves blown off course somewhere along the way, or losing our connection to the purpose of our intention. Or we set intentions based on the material world only and what we ought to create, instead of listening to where the energy is guiding us. For the last 4 years, I have created an intentional container of listening and paying attention to where energy moves me, setting intentions in alignment with that and listening to where the horses are guiding me each month, so I can stay connected with my goals, and have success in reaching them through my alignment. This year-long journey is an invitation to be guided to set your intentions with purpose, vision and receive guidance and support in manifesting them to life throughout your year. Visioning and Manifestation require focus.. This year long container is about providing you with the focus, guidance and accountability to stay on track, in alignment so you can witness your visions come to life. Each month, you will receive in your inbox, a guiding energy from horse wisdom, and a collective energy, be reminded of power days and rituals and be prompted to hold your focus to your intentions so you stay on course. The purpose of this journey is to be held in structure with intuition as you work towards anchoring and grounding your ambitions and goals into form and watch them flourish in your life. To achieve and see manifest our goals requires us to stay anchored in our truth and create from our alignment. Often what happens in our world is we become disconnected from our true source of purpose and magic. This space aims to keep you connected to that space while you giving you both practical and spiritual tools to empowering your visions into form for the new year. It is a journey where we are empowered in understanding how to read energy, to listen to our intuition, to stay connected with what is important for us to bring to life and manifest in our world. It is a journey where you are given proven and powerful practices to amplify your ability to create space for yourself, the creator of your intentions and goals, and what you are moved to bring to life. Manifestation is the ability to bring thought into life, to create and to remember our ability to bring into our lives what lives deeply in our energy. Manifestation is a process of creation. It is tapping into our inner power and allowing for us to be in alignment. Manifestation requires focus, ritual, alignment, and for us to understand how we impact the space around us. This journey will be empowering and refining your ability to manifest, to be reminded that you have great power within you and the things you seek to experience in your life can be made through you. The horses are added to our containers to give clarity and an additional grounding into where our energy is going. When we cannot have a clear read on the energy, the horses do. When we are not sure what medicine is required for us to partner with to have the success in manifestation, the horses can guide us forward in the journey. The horses will be our allies and partners in this year-long journey, accompanying us each month to help navigate the unfolding of life and give us clarity into what medicine is required for us to partner with in order to have success. What IS INCLUDED IN THE JOURNEY? A Monthly Energy Reading accompanied by a ritual as well as guidance to keep on course and aware of what energy is moving you that month. Monthly Recording of a ritual or process that connects to empowering your continued process of manifestation and bring you vision to life. A reading and message with one of our horses to begin our journey each month to blend the spirit of horse medicine into our time and space. Bi-Weekly prompts to keep you on course filled with inspiration and encouragement to refine the focus and purpose of your yearly journey. The facilitation of this program also comes with an addition of bonuses of previous content that we have done over the years. And more surprise content to empower your success throughout our year together. The full space of this program is delivered to your private email box, so you may sit with and go through the content and wisdom in your own way while honoring your process and journey with the delivered prompts as well as having private access to yours truly once a month for a deepening of the content. If you are seeking a supportive space to keep you on track and in alignment that allows and encourages you in your own private process. You will love to be guided through this container and space. We believe it is important to journey with others through the manifestation and success of them rooting into their transformation and goals. A year felt sacred, powerful, and in alignment with what I feel is important to hold space for through this container. For what this space is seeking to be held in, it felt important and potent to be able to be facilitated through all cycles of a year. For those that are wanting some deeper support to go along with this year-long journey you can upgrade to the VIP level which includes 4 60 minute 1:1 calls to accompany your journey with me. Hillary Schneider is a mentor, equine guided facilitator, retreat founder ,and space holder of possibility. She empowers other visionary’s to bring their medicine, purpose and brilliance to life and step into a life of meaning and success that aligns to what speaks to them. A life-long seeker and dreamer, Hillary has spent her own life in pursuit of creating space for a deep calling and purpose of partnership with others to assist others to leave purposeful lives and claim their unique leadership in the world. Her mentorship is a blend of horse mastery and medicine through in person retreat experiences as well as space holding in the online world through her own wisdom and intuition of how she is called to serve her clients. 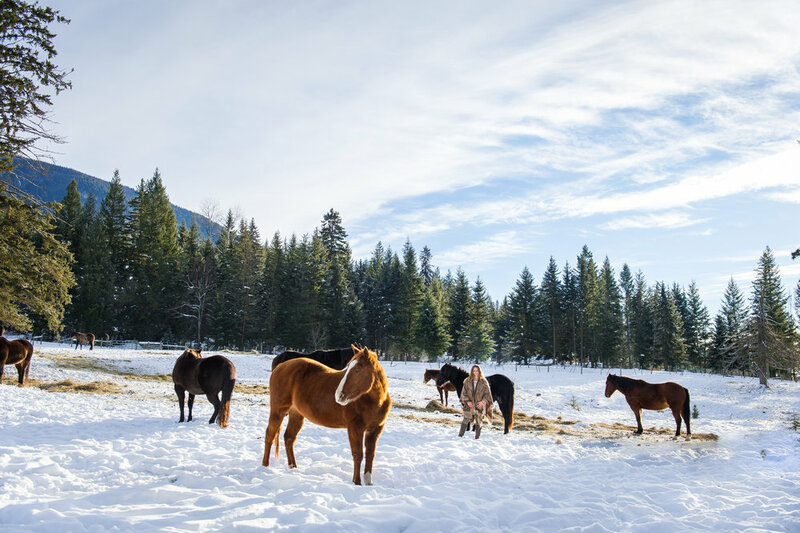 She is the founder and CEO of Epona Rise Retreat Center, a space that is dedicated to creating an environment that fosters personal growth, leadership development through the wisdom of horses and nature. She has been facilitating and mentoring women and men on the path of purpose and leadership since 2010. Hillary’s background includes extensive training in both the human development field through Coach Training Institute and 3 years of in depth training and certification in the field of equine facilitated coaching and leadership.